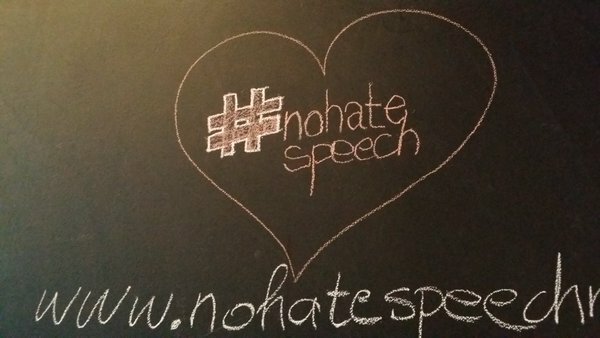 What you can do on 8 March to counter sexist hate speech. Discrimination, multiple discrimination and hate speech against women are still serious issues in today’s Europe. The Council of Europe’s No Hate Speech Movement now addresses sexism and gender equality through its actions focusing on combating and countering sexism and sexist hate speech online and offline. It is very important to explain that sexism is also a form of Human Rights violation and hate speech against women increases violence against women. Sexist hate speech aims to humiliate and objectify women, to destroy their reputation and to make them vulnerable and fearful. It is a form of social shaming, and it is spreading the message that the women are less human beings. The No Hate Speech Movement aims to raise awareness about sexist hate speech online and its risks for democracy and its tragic consequences for young people. Or organise one of the recommended offline actions on 8 March: organise a CineForum or run an educational exercises – for example: Play Safe! or Understanding sexist hate speech or Roots and branches of sexist hate speech. Learn through the Infographic or the Useful Links about countering sexist hate speech and share them to raise awareness about the issue. Or sign and share this petition asking for 22 July to be made a European Day commemorating victims of sexist hate crime and raising awareness about the link between sexist hate speech and hate crimes.